Whether you have a child who loves to take a bath or one who is less than excited for bath time, bathtub paints are bound to make <a href="http://www.inhabitots.com/seven-non-toxic-bath-time-products-for-your-green-baby/">bath time</a> more fun and possibly encourage you kid to beg for a bath. Read on to learn how to make your own easy organic bathtub paints that are non-toxic, safe for the environment and fun for your children, too. 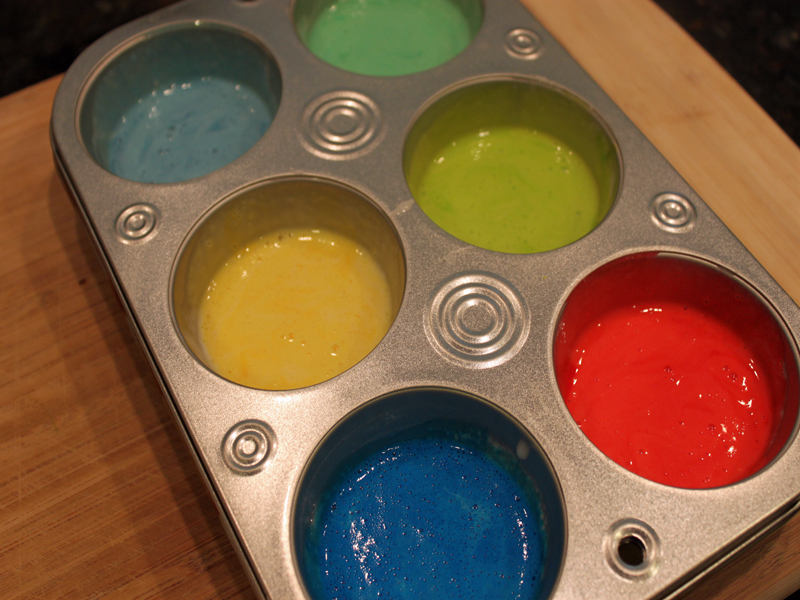 <h2></h2> <h2>Step 1: Pick Your Colors</h2> Add a couple of drops of natural food coloring to each section of a muffin tin or reusable container. I like to use muffin tins because your child can take it directly into the tub. 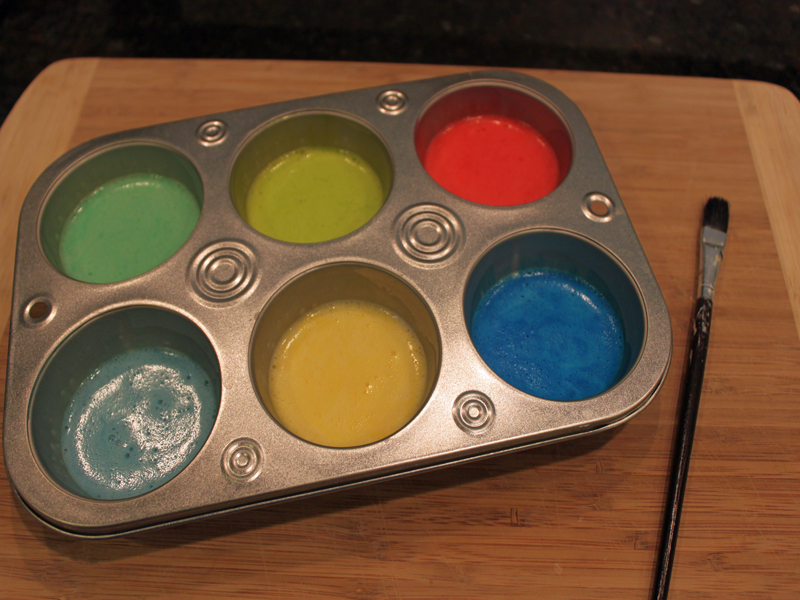 It is easy to hold - like a large paint palette and is great for not dirtying a bunch of containers. 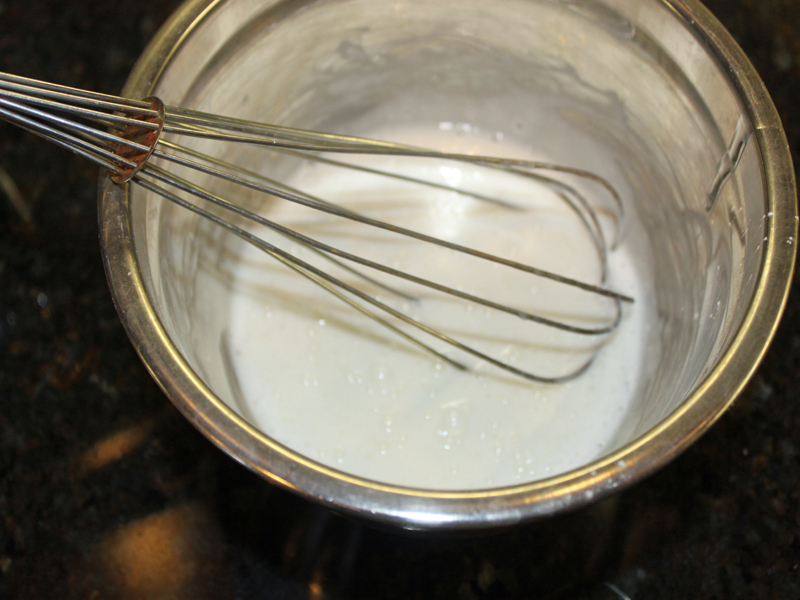 <h2>Step 2: Mix It Up</h2> Add the shampoo and cornstarch to a bowl and thoroughly mix together. 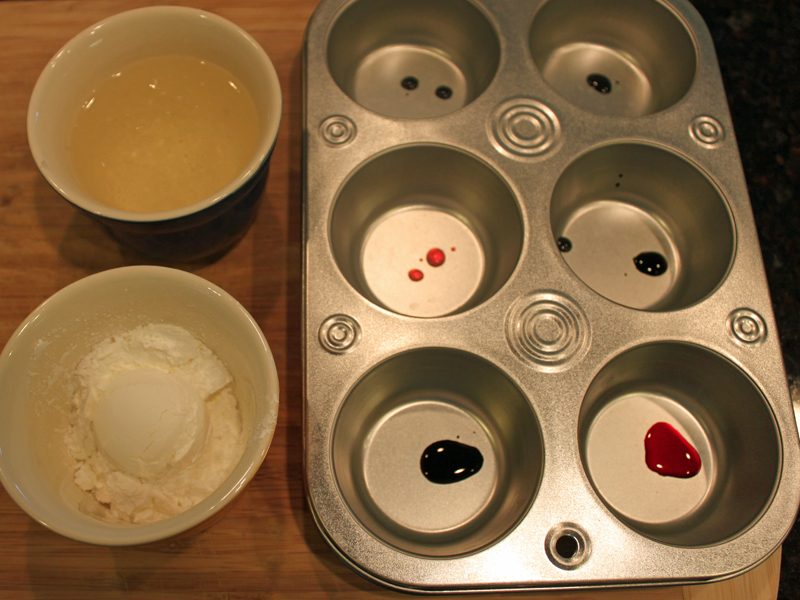 <h2>Step 3: Mix the Paints</h2> Add equal portions of paint mixture to each muffin tin section and mix until the colors are even. <h2>Step 4: Rub a Dub in the Tub</h2> Fill the tub, grab a paint brush and surprise your children with a fun art lesson in the tub. 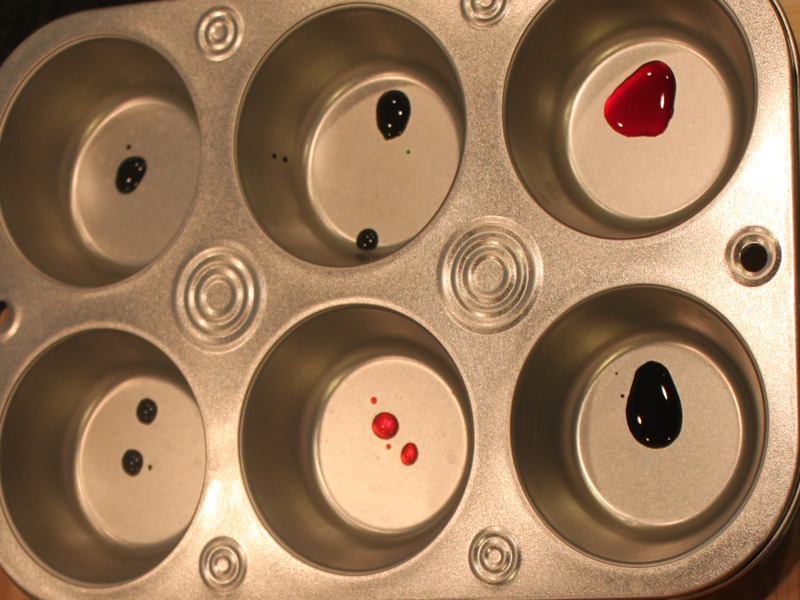 These paints are non-toxic and won't hurt the environment or your children. 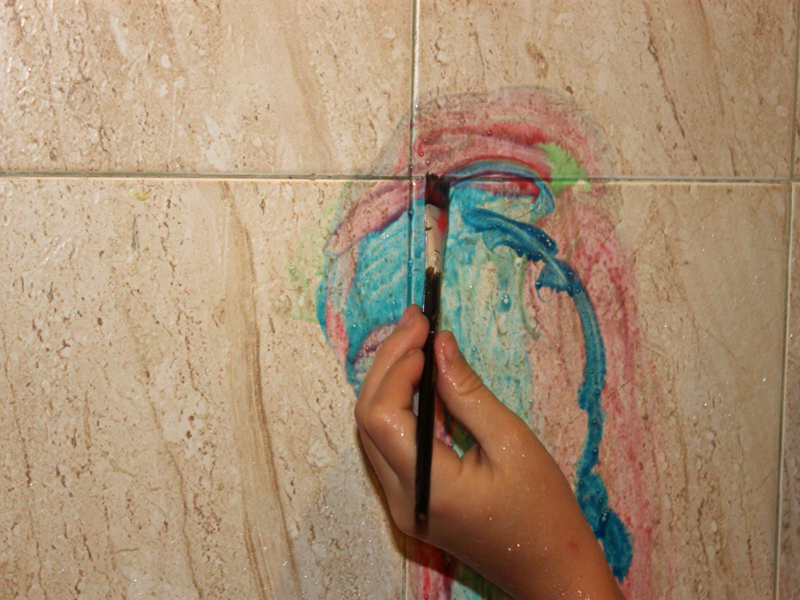 If you are worried about the natural colorant staining the grout, only use the bath tub paints on the tub itself. Whether you have a child who loves to take a bath or one who is less than excited for bath time, bathtub paints are bound to make bath time more fun and possibly encourage you kid to beg for a bath. Read on to learn how to make your own easy organic bathtub paints that are non-toxic, safe for the environment and fun for your children, too.